It has been a really long time (March 17, 2016) since I wrote something for this blog. Shame on me because I have read so many amazing books since, I could talk your ear off about them. I just never get around to blogging. This book though, I just had to put pen to paper. And yes I do actually use pen and paper when writing out my thoughts. Gladys Gatsby stood at the counter with the spout of her father’s heavy blow torch poised over the ceramic cup. Her finger hovered over the trigger button that was supposed to turn her plain little custards into crunchy, tasty treats. That’s when she heard a car door slam. How could I not continue to see what happens when trying to make crème brulée with a full-sized blow torch? By page three I was laughing out loud and couldn’t wait to see what other trouble Miss Gladys could get into. Gladys Gatsby is an 11-year-old grade 6 student with a passion for food but comes from a family that thinks all food can be cooked in the microwave. She has been secretly cooking gourmet dishes since she was seven. Her parents find out just what she’s been up to in those first three pages in a very dramatic fashion. As punishment for what she has just been caught doing, they ban her from doing any kind of cooking, reading cookbooks, and watching any cooking shows or videos. They want her to be like other kids and play video games, go outside, and make some friends. Gladys struggles but tries her best to follow her parents pre-approved list of activities while hiding a new secret from them with the help of a few people who might surprisingly be some new friends. 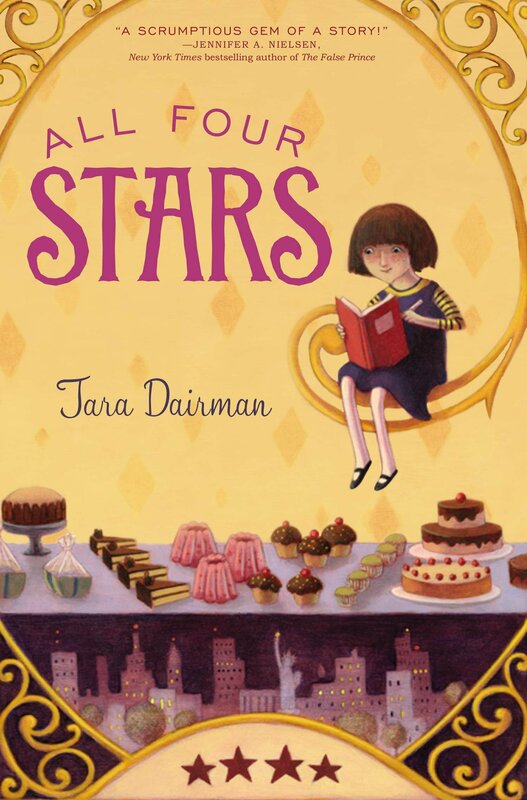 This book is a Junior Fiction but if you are even a bit of a foodie this quick little read might just be right for you.